Hardcover, 6.75 x 8.75 in. / 176 pgs / 72 color / 5 bw. 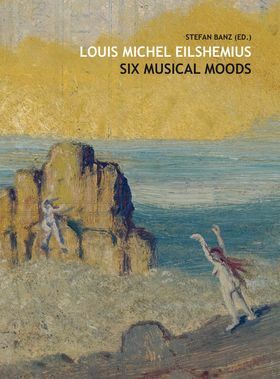 Louis Michel Eilshemius: Six Musical Moods delves into the musical oeuvre of Eilshemius (1864–1941). In addition to photographs, paintings, drawings, scores and texts, this publication includes a CD of seven of his compositions recorded by German pianist Imke Lichtwark. His musical works are characterized by the same light-hearted, romantic warmth and affection as his paintings and drawings, alternating between old-fashioned flair and futuristic audacity. This he achieved, for example, by extrapolating and rearranging sequences of musical notes from the history of music, not unlike the "sampling" that came much later. The story goes that the New Jersey–born artist was discovered by Marcel Duchamp at the famous First Annual Exhibition of the Society of Independent Artists in New York. Whatever the provenance of this tale, it serves the impression Eilshemius made as a visionary and singular artist. 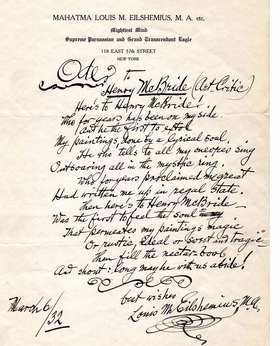 FORMAT: Hbk, 6.75 x 8.75 in. / 176 pgs / 72 color / 5 b&w.